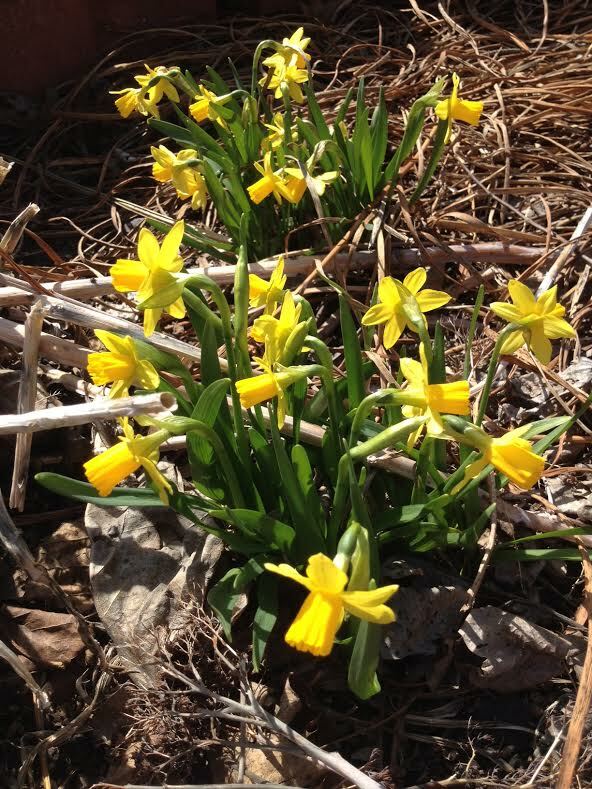 This week we saw our first spring flowers bloom in the garden! Just some mini daffodils, but their bright pop of yellow color in the otherwise dead brown beds are a welcoming sign of spring. Shoots and stems are popping up everywhere, which means there will be much work to be done over the the next few weeks…and there will be many more pics to come!